Is it just a clever computer animation or maybe more a fiction from a Hollywood movie? Or is it actually a real car sitting there? 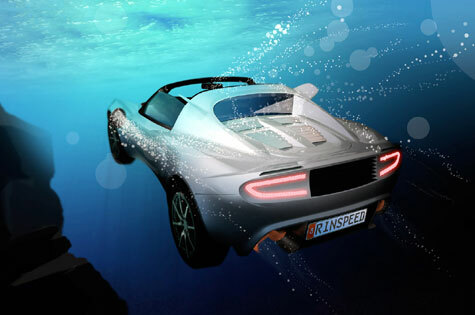 Many visitors to the upcoming Geneva Motor Show (March 6th thru 16th, 2008) will ask themselves just these questions when faced with the new Rinspeed creation “sQuba” - the worlds first real diving car. This astonishing concept vehicle from the renowned Swiss powerhouse for new designs and ideas looks almost like it just came out of a James Bond movie.